The appeal of a residential or commercial building, landscaping, and gardening begins even before you step through the front door. The right combination of horticulture and architectural features accentuate the curb appeal of your home or business year ’round, and effectively sets the stage for your beautifully designed and well maintained dream landscape. Sustainability is the key to year ’round landscaping, and the experts of Michaelangelo’s Sustainable Landscape and Design Group are proud to deliver innovative, cost-effective, and environmentally responsible landscape solutions to every project. Whether you’re looking for an irrigation system installation, or wanting to get rid of crab grass, you can rest assured that your landscape will maintain its sophistication over time with our professional landscaping services, lawn care, turf care, and management and maintenance services. In response to an increase in environmental awareness, Michaelangelo's is committed to sustainable landscape practices that are safe for children, pets, and the environment — as well as your budget! We use organic supplements that are good for your health and your wallet, and we're committed to providing landscaping services that enhance the beauty of your lawn and yard while reducing the impact on the environment. Locally-owned and independently-operated, our landscaping company delivers the best craftsmanship for our clients. For more than 15 years, we've provided the best landscaping services for our residential and commercial clients. We're professional, hard-working, and experienced at what we do. We're trained and knowledgeable in all aspects of horticulture science, working to achieve both long-term and sustainable solutions to every project. We provide amazing customer service by listening intently to your requests. By investing time in understanding your vision, we deliver better results regardless of the job, small or large, simple or complex. Whether you're looking for residential and commercial hardscaping, landscape design, irrigation, turf care, and more, we're ready and equipped to serve you. 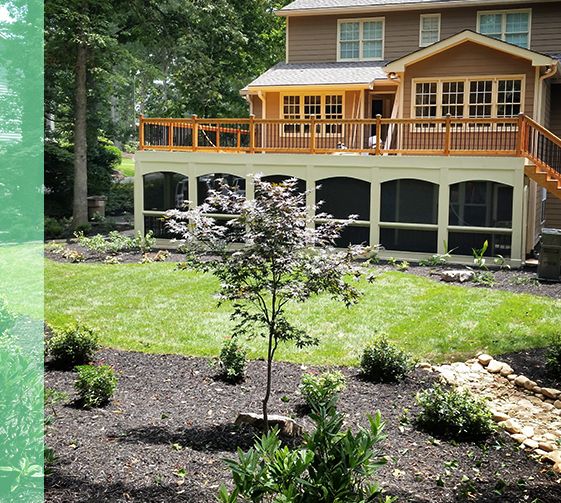 Give our landscape designer in Alpharetta, GA, a call at (770) 940-4336 today to schedule an appointment with our talented team.